The best way to experience the Upper Peninsula is by getting outside. There is so much to see in the area, from forests and wildlife to breathtaking waterfalls and landscapes. 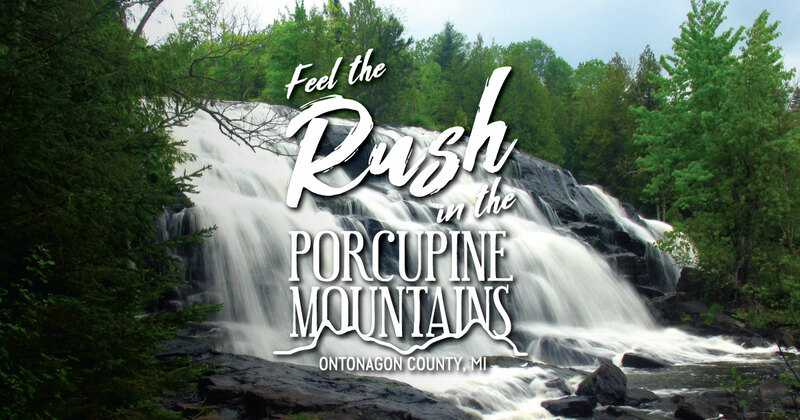 The Porcupine Mountains Wilderness State Park is a must-visit hiking destination. The park covers 60,000 acres of unforgettable old-growth wilderness, with breathtaking views and opportunities for adventure around every corner. Depending on the season and your interests, you can bike, snowshoe or even cross-country ski through the park. At the Porcupine Mountain Outpost, rent kayaks and canoes for an afternoon on the water—you’ll experience the park from a new perspective. Want to get out on the water? Copper Harbor’s Keweenaw Adventure Company rents sea kayaks and also offers lessons and tours to explore the shores of Lake Superior.